For thousands of years, humanity has looked into the night sky and wondered: who is out there? Now you have a chance to travel into that night sky, to go beyond wondering and experience for yourself the reality and spirituality of life beyond our world. 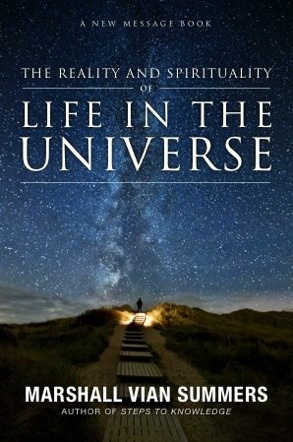 Life in the Universe is a window into the living story of our universe: the realities of trade, travel and conflict within a Greater Community of intelligent life; the birth and death of civilizations across the stars; and the greater Plan and Purpose of the Creator who oversees the spiritual progress of life in all galaxies. God is now alerting and preparing us for our destiny within the Greater Community. It is only through Divine revelation that we could come to understand these things and to learn about the reality and spirituality of life in the universe. Now for the first time, you can venture beyond the confines of our world and into the vast arena of life into which humanity is emerging. Life in the Universe is an open doorway to a greater human experience. Unfolding before you is a story and a vision of the living cosmos, the complexity of interactions between worlds and the future that await us as we enter this larger vast arena of life. Go beyond the limits of a purely human vantage point and immerse yourself in this “Greater Community,” a greater panorama of life that has always called to you. 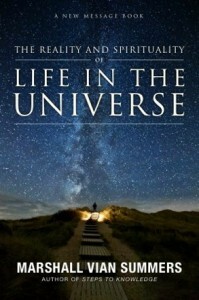 Life in the Universe is the second book of Volume 4 of The New Message from God.